Meet the needs of the business and IT, with solutions that accelerate software delivery and aid compliance with data protection regulations. Accelerate delivery times, increase code quality, and unlock DevOps for the database with compliance-friendly solutions that align database development to your existing stack. Manage the data needs of DevOps teams and support business requirements for frequent deployments, without compromising the safety of your data or the stability of your production environments. Unblock software development and facilitate DevOps adoption, with standardized best practices for database development that let you move fast, make production systems secure, and help keep your business compliant. Prevent rework and conflicts, build consistency and quality into your code, and gain time for development that adds value, with standardized best practices for database development. Unlock agility and performance across the full software lifecycle, with database continuous integration, continuous delivery, and shift-left testing that let you rapidly respond to user requirements. Avoid performance issues, minimize downtime, and support efficient recovery with proactive visibility and insight into your database estate. Decrease the risk of breaches, protect business critical data, and meet compliance requirements while supporting data demands from developers and testers. 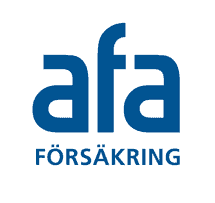 Learn how AFA Försäkring transformed development procedures, optimized live performance, and halved deployment time across a system of 70 servers and 400 databases managing $24 billion of assets.